Hate and a rivalry with something to lean on always make for an excellent game of playoff football. The Baltimore Ravens had their rivals by the throat after a great start for Joe Flacco, but the secondary couldn’t hold on under the pressure Tom Brady put on them, resulting in a 35-31 win for the New England Patriots. 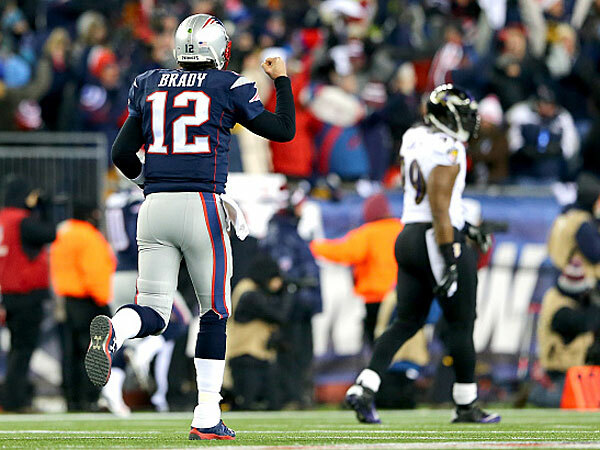 Unlike his previous encounters with the Ravens in the postseason, Brady was sharp and on target for the most part. He was sacked twice and hit a few more times, but he didn’t let it shake him. Bill Belichik got creative with the play calling which included formations with just four linemen and one ineligible receiver to confuse the Ravens (something John Harbaugh was very angry about), or the trick play that tied the game for them at the end of the fourth quarter, as Julian Edelman threw a 51-yard touchdown pass to Danny Amendola. Brady finished with 33-of-50 for 367 yards, three touchdowns and an interception. 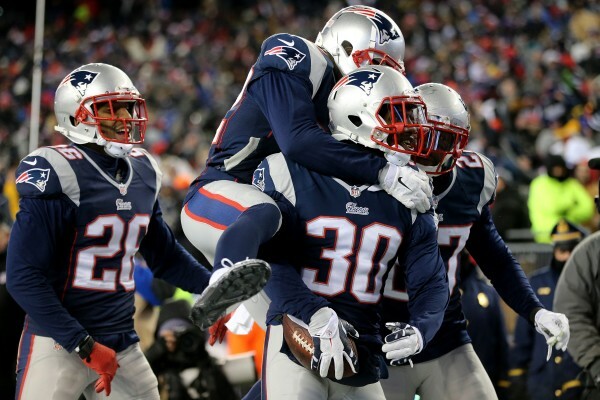 The Patriots were either behind or tied for the entire game, until the fourth quarter. They started slowing down the Ravens’ offense which got a bit too conservative after taking that 28-14 lead in the third quarter, and eventually connected with Brandon LaFell with 5:13 to go, giving his team the first and last lead of the game, not letting it slip away. Flacco led his team to the Patriots 36 and to a second and five situation, but his pass was intercepted for the second time in this game, ruining what could have been his greatest postseason performance to date. The Patriots kneeling left the Ravens with four seconds to do something. That meant one play that got them nowhere, and becoming the next team to slip up at Gillette despite leading for most of the game, twice opening up a two touchdown lead. The Patriots gave up on trying to run the ball. They finished with just 14 rushing yards on 13 carries. If last season at the same stage they went with just running the ball to beat the Indianapolis Colts, they did the opposite in this game, realizing that putting pressure on a weak secondary was the right way to go about it. It was difficult while the Ravens managed to pierce through the offensive line, but in the second half, getting creative with the formations and plays negated that and led to the eventual victory. The Ravens had a running game with Justin Forsett carrying the ball for 129 yards, but couldn’t get any big runs, especially not in the second half. Joe Flacco tried to counter that with his ability to make long, big throws, but what worked early on for him in the game’s opening resulted in two interceptions during the second half, completing just one pass on four attempts for 15 yards or more. The Patriots weren’t perfect in coverage, but stopped making foolish penalties cost them in the second half. When those mistakes stopped happening, the Ravens found it a lot more difficult to move the chains. Penalties and dirty hitting was a big part of this game. Some are still wondering why Tom Brady is allowed to chest bump and yell at referees with zero distance between them, knowing full well if a defensive player would have done that he’d be tossed out of the game. But the Ravens enjoyed other penalty calls going their way when they shouldn’t have in the first half. The officiating wasn’t good or consistent, but it wasn’t a one way street or determined the outcome of the game. The Ravens, despite their performance in Pittsburgh, were a team that never quite found consistency on both ends of the ball this season, and sometimes getting hot at the right time isn’t enough. The Patriots are doing everything they can to make sure Brady is protected for long enough to make things happen. Although it didn’t start out in a promising manner, their method and plan eventually worked out in a very pleasing manner.